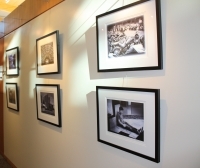 The Mission Viejo Library provides exhibit walls and display cases to local artists who wish to showcase their art or collections. Displays rotate every six weeks. For more information and to obtain an Exhibit Form, contact Cultural Services Supervisor Dru Maurer at dmaurer@cityofmissionviejo.org or 949-470-8452.